As expected for many months, the Executive Order entitled ‘Improving Critical Infrastructure Cybersecurity” has been signed and released. There are numerous write-ups providing analysis and perspectives. My favorites so far are from DWT , , and an article from American Banker. What is important is businesses and leaders should take this in balance to their own business. The first is – if you are not considered infrastructure plainly, you should analyze if and how you support those industries, because if so you will need to meet and participate in the realm of requirements that will roll forward from this EO. The second is – if everybody is having serious problems on maintaining their business’ confidentiality, integrity of operations, and availability of services against foes, competitors, and nation states (as highlighted hundreds of times over the last few years) – how can Executives / Senior leadership / Board of Directors / and owners not consider this a risk that requires mature and top performer attention. Virtual is an interesting point that I raise below in the riddle .. The use of the phrase ‘timely’ instead of actionable was a highlighted environment. The difference is that actionable means that information shared would be more real-time, while timely may not meet this test. 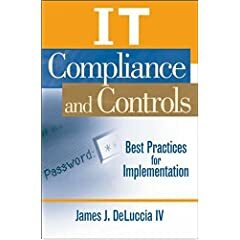 This is an important section that will hopefully drive cross-standard acceptance, and at least conform to the principle of establishing a unified corporate compliance framework, as I articulated in my book back in 2008. Is Amazon’s AWS considered Critical Infrastructure? What about Microsoft Azure? Expand that generally – what elements of PAAS, SAAS, IAAS are critical infrastructure.